The Black and White Years are a local outfit composed of Scott and Adrienne Butler, Landon Thompson, John Aldridge and Billy Potts that first came together in 2006. 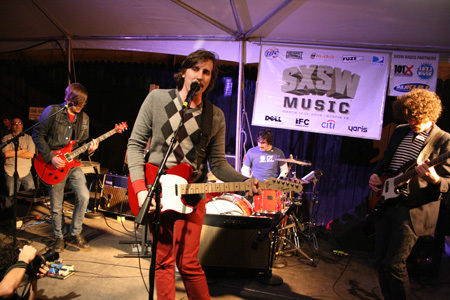 While originally a three piece, the band added on over the years to this final lineup. 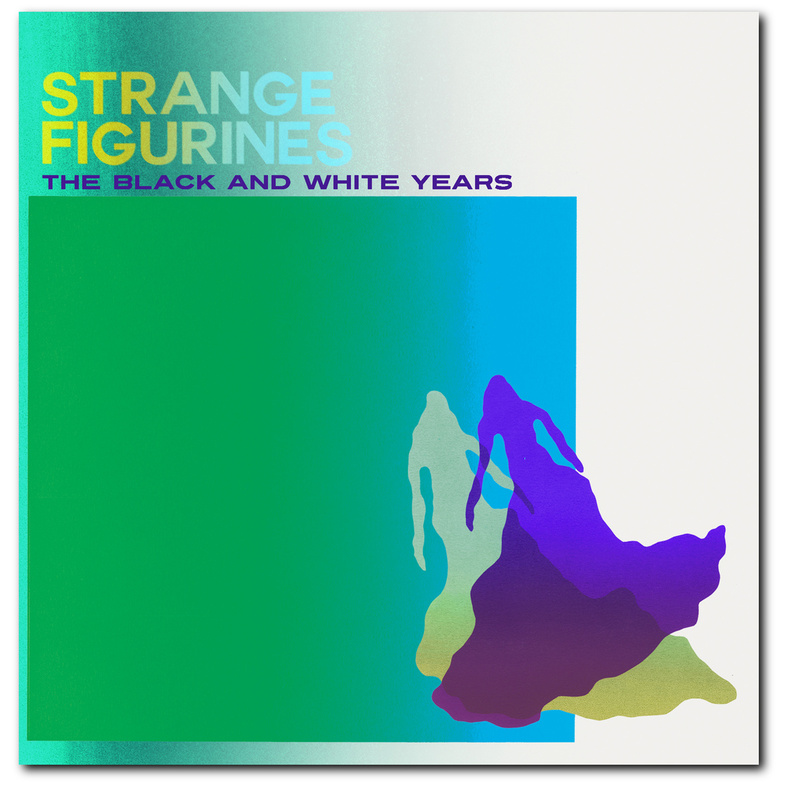 A mix of indie art rock and dance floor inducing tunes, Strange Figurines makes their third LP, the likes of which will have you grooving along with the group. “Embraces,” kicks this album off with a bang. There’s a brief moment of acoustic guitar and subtle ooh’s at the opening of the song, before the beat jumps in and picks up the rhythm—this moment of repose is reminiscent of something you might find on a Cut Copy record, and the hype is just as tangible. Suddenly you’re in the song, and Scott Butler is there with you, his commanding yelp informing you loud and clear that he’d “Die for you, but only if you want [him] to.” Besides the ever-apparent detailed lyrics and catching vocals, the instrumentation also begs for your attention. Layers of drum machine beats, buzzing synthesized drones and guitars all combine to create not only a groovy, but a sonically complex tune that stirs not only your dancing shoes but your mind as well. The song ends nicely rounded to the beginning of the song, bringing a somewhat cathartic and satisfying close. The nuances of “Embraces” are just what makes The Black and White Years’ music stand out from your average electro-pop group. Another dimension that is relatively new to this group is the female vocals of Adrienne that pop up prominently on “Just Like Old Times.” Semi-robotic, but also charmingly innocent in their quality, these vocals serve as lovely juxtaposition to Scott’s fluid power. Such a nice coupling reminds me of the vocals of Torquil Campbell and Amy Millan of Stars. 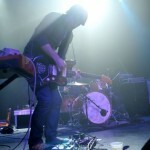 The title track, “Strange Figurines” is a good example of this—the vocals become the focal point at times, but are met halfway with a synth riff to combat them, giving this group balance. My one and only real piece of criticism, while very small, is by the end of the album, if you’re not in the mood to groove, some of the electronic aspects can wear you down a bit. The result may be that your favorite tracks come from the beginning of Strange Figurines at first, but after repeated listening the latter tunes make their way into your listening queue. Enjoy these locals and the lovely album they’ve brought to you. 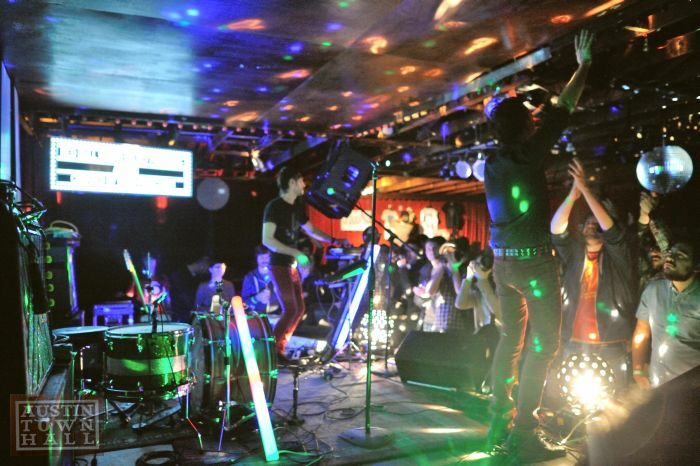 Red Bull Sound Select took over the Spider House Ballroom. 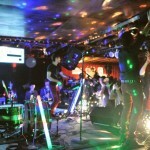 In exchange for your information on the intarwebs, you could check out three great bands for $3. On the agenda was The Black and White Years, Night Drive and The Octopus Project. The line started at around 6:30pm for 9pm doors and some that got in line closer to show time to see the bands in a 350 person venue were going to be disappointed. My only disappointment was a late-running schedule that forced my early exit before The Octopus Project could take the stage; the following day was a really long one and it took discipline to leave when I did. Nate and I had a sweet bit of fun at a dance party and we both left with the impression that Night Drive is poised for explosion. Click through for pics of The Black and White Years and Night Drive. Ume. There is the general feeling around these parts that they just need to blow up; power trio rock with the remarkably charismatic powerhouse lady putting down the jams should be a lock. I love photographing this band. I think every music photographer in Austin loves photographing this band thanks to Lauren’s hair. But they weren’t my highlight. Modern Outsider is a friend of the program. 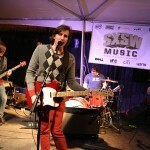 They have several great acts on their roster and bedsides being really good people, they call Austin home. 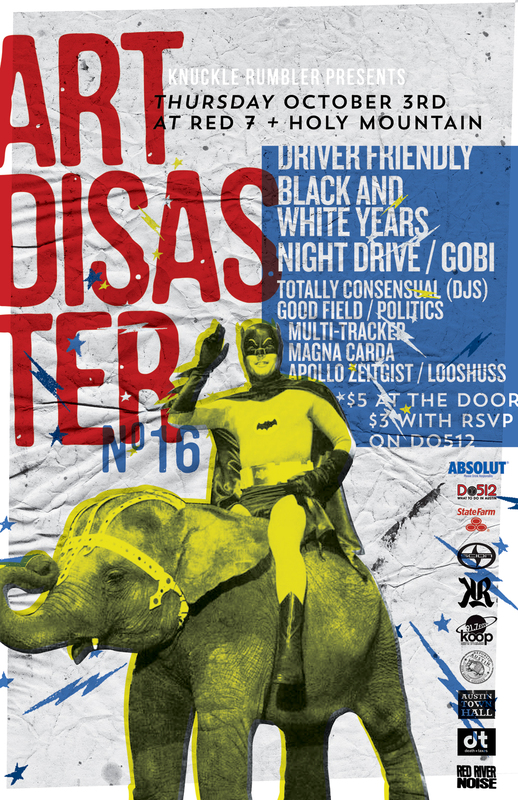 So naturally, they decided to host a pre-SxSW showcase as part of Free Week 2013. Click through for plenty of pics of Soft Swells, My Jerusalem, The Black and White Years, The Calm Blue Sea and Ume. Local band Black and White Years are at it again, and they’re ready to bring you some new hits; we’re sure you’re ready to get down with that, right? 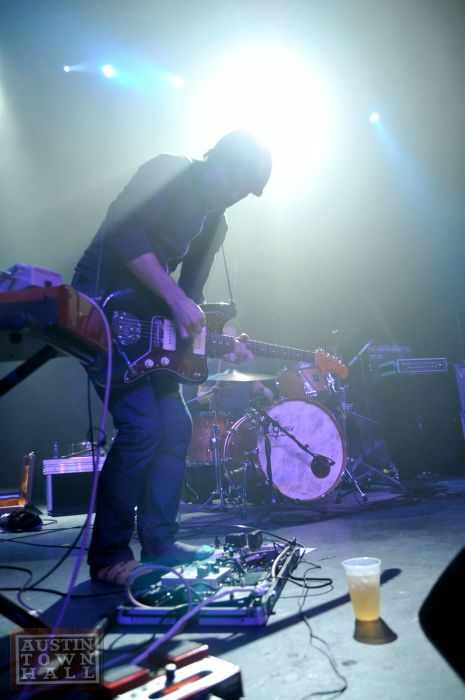 Well, we’re here to premiere one of their new tracks, titled “Up!,” which comes out on their new album, Patterns. It will be in stores on November 16th, so you better get yourselves ready. Just one listen to this single, and we know you’ll be excited to get behind another great local Austin band. Download: The Black and White Years – Up! So those Knuckle Rumbler kids are at it again with a show Friday night at Encore along with co-sponsors Paper Thin Media and Simple Shoes. The lineup really is a whose who of up and coming Austin talent featuring Quiet Company, The Rokcetboys, The Black and White Years, The Murdocks, Stereo is a Lie, and The Eastern Sea. 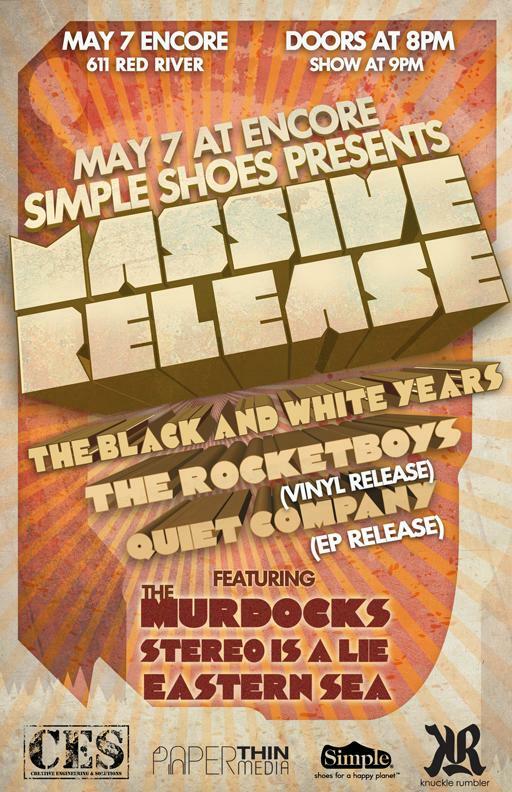 The event will also celebrate the release of Quiet Company’s new EP and The Rocketboys vinyl release with free drinks to the first 100 guests. They’ve also got some sweet VIP packages you can read more about over on the KR website. You gotta know we’ll be there. One of the great pop/rock bands to make it out of the 90s, The Presidents of the United States of America, will be making an appearance at Stubbs Wednesday evening. 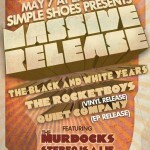 Lucky for you, local Austin act The Black and White Years will be opening for the veteran band. 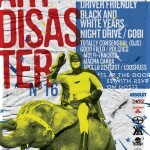 Doors for the event are set to open at 7 with The Black and White Years starting around 8. Get them tickets now! We also finally have a reason to post “Peaches” on our site. YES!